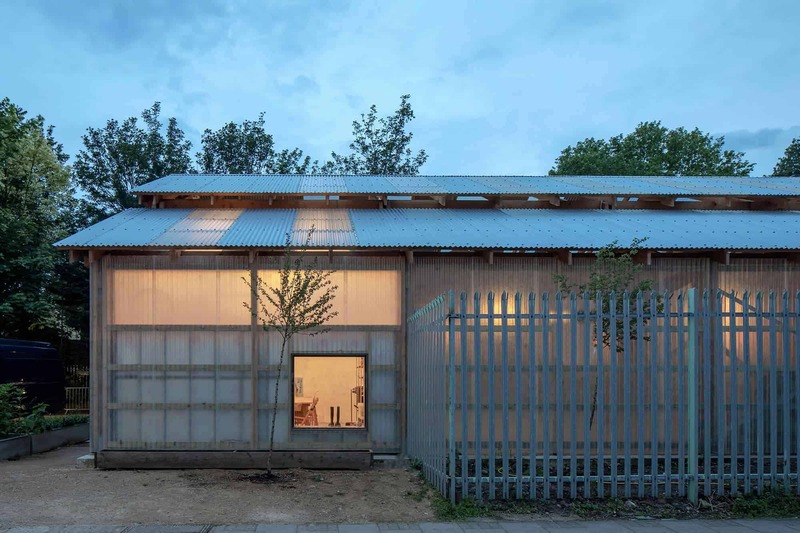 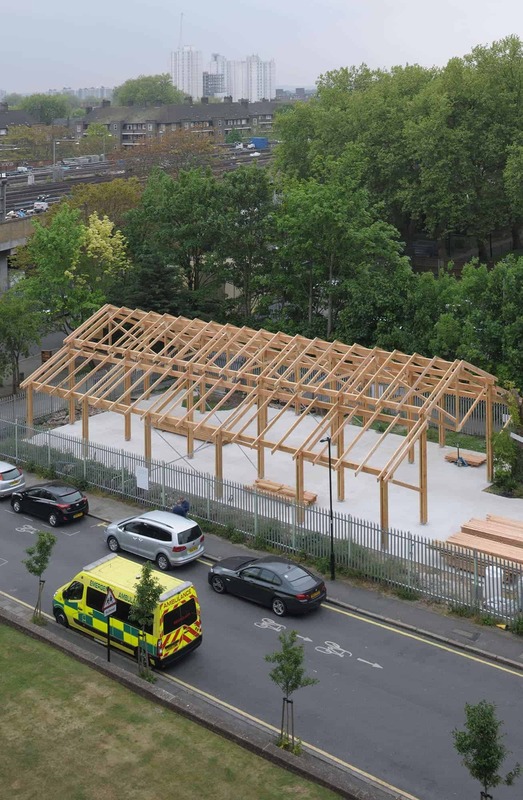 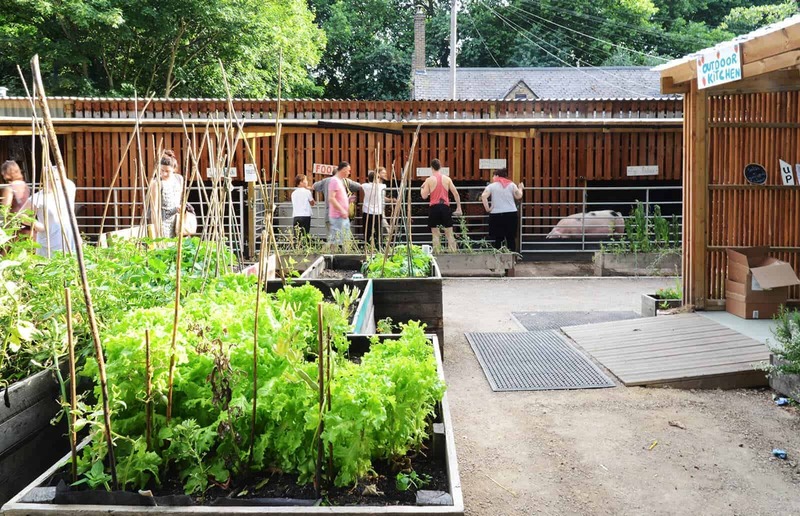 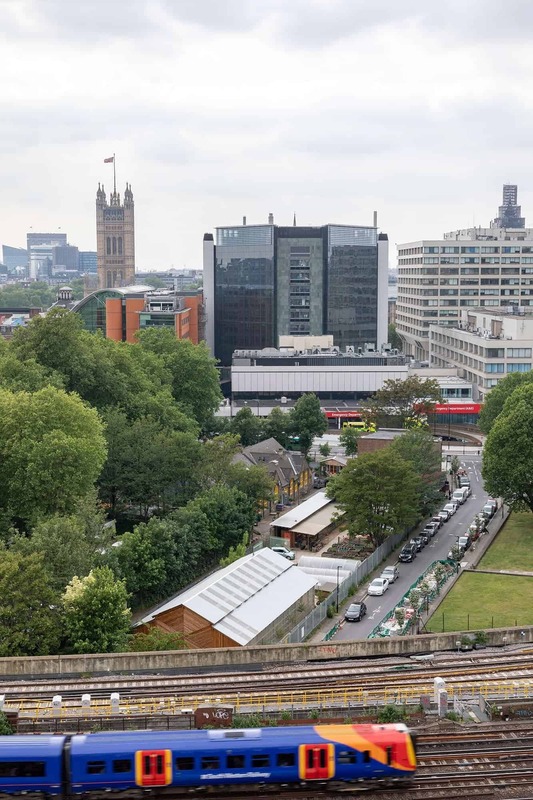 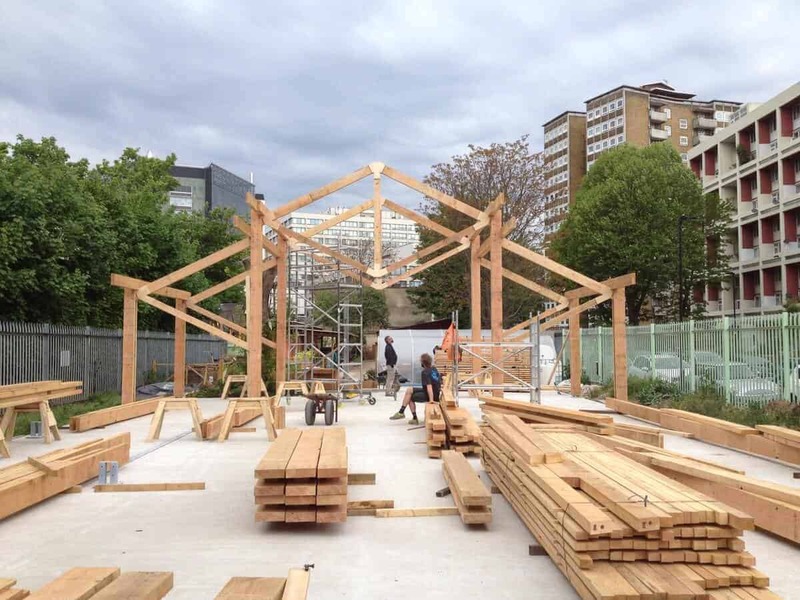 Located on a previously unused strip of land to the south of Waterloo Station, the Waterloo Community Farm is run by two charities: Jamie’s Farm and the Oasis Community Hub, Waterloo. 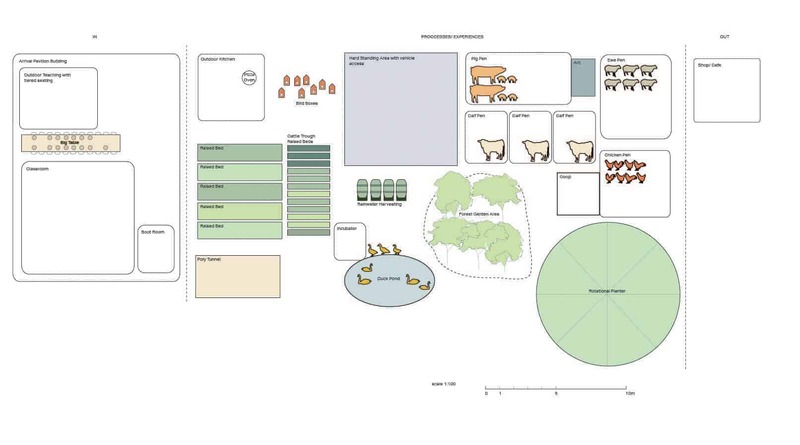 Their shared aim is to provide a learning resource for local schools and also the wider community. 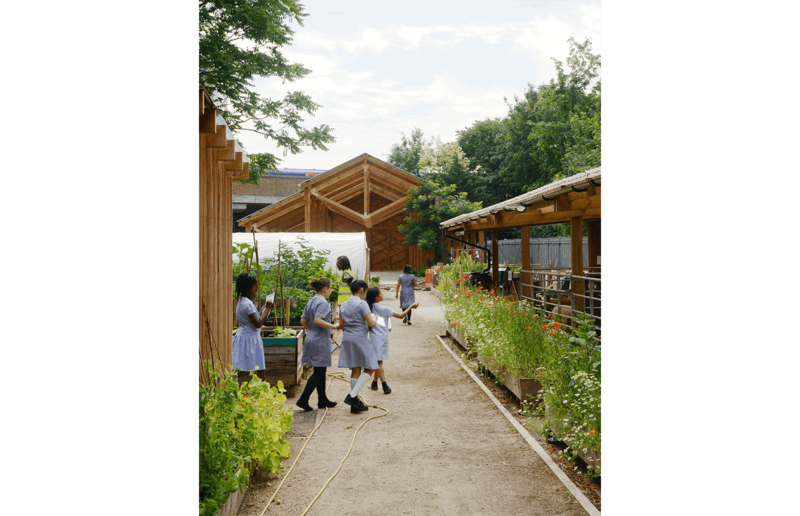 Feilden Fowles have been working with the charities on the design and delivery of the farm and its associated educational spaces. 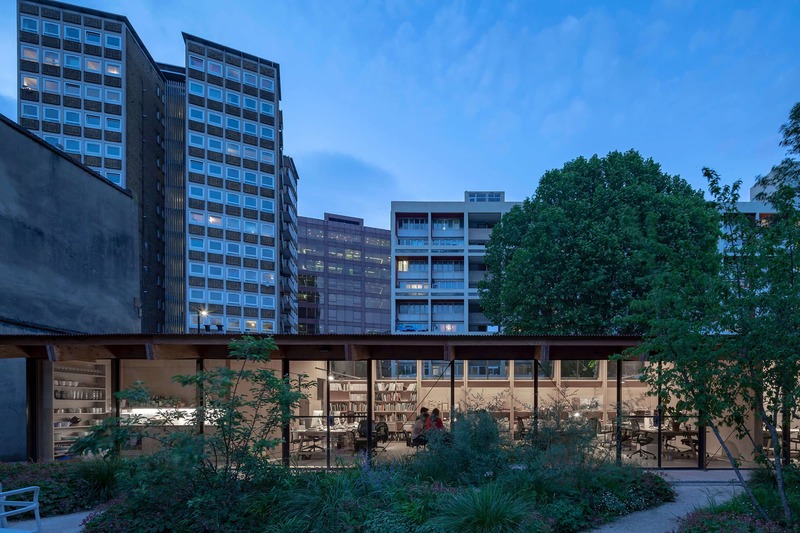 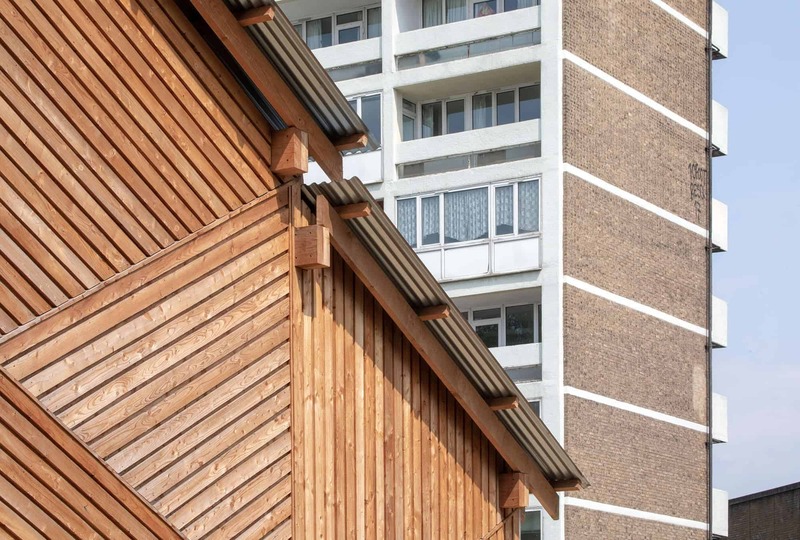 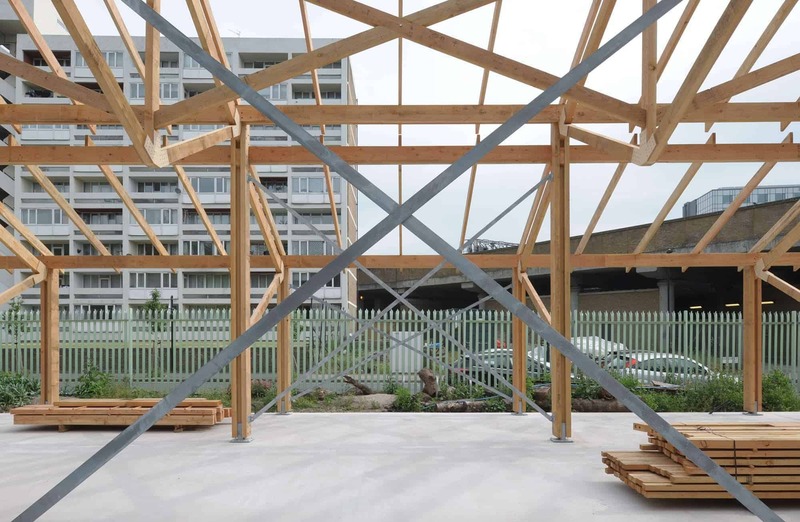 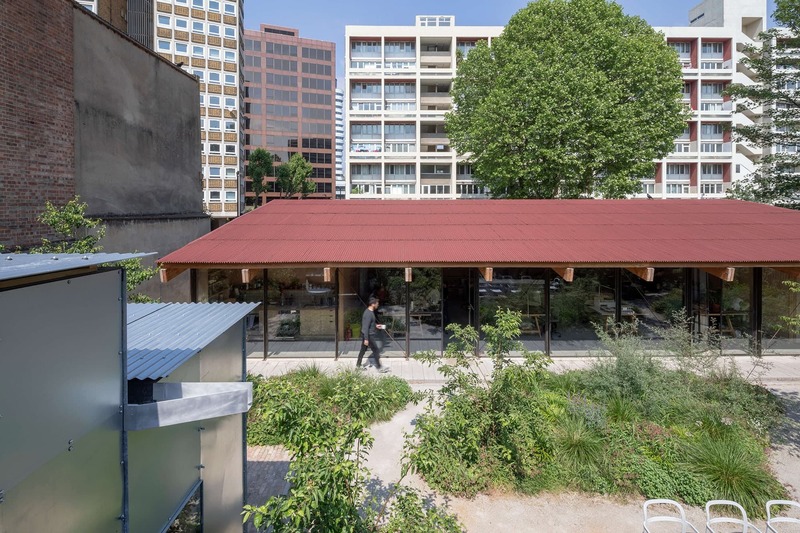 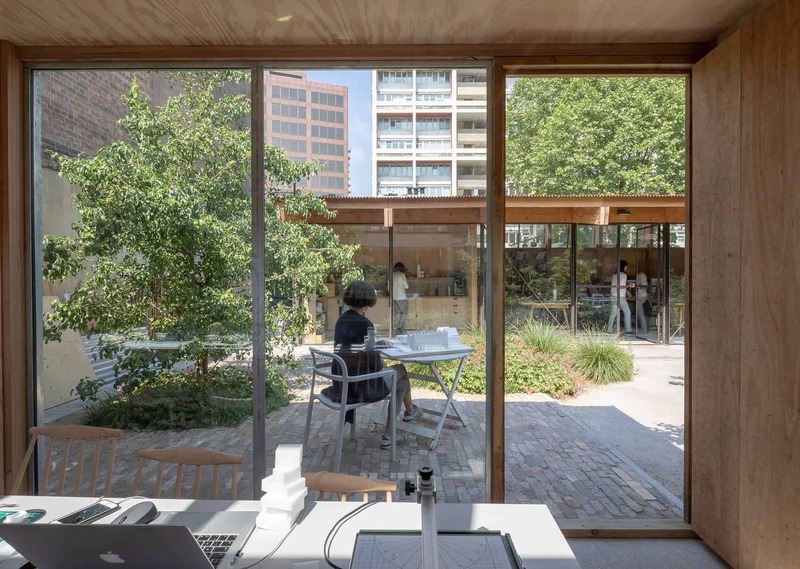 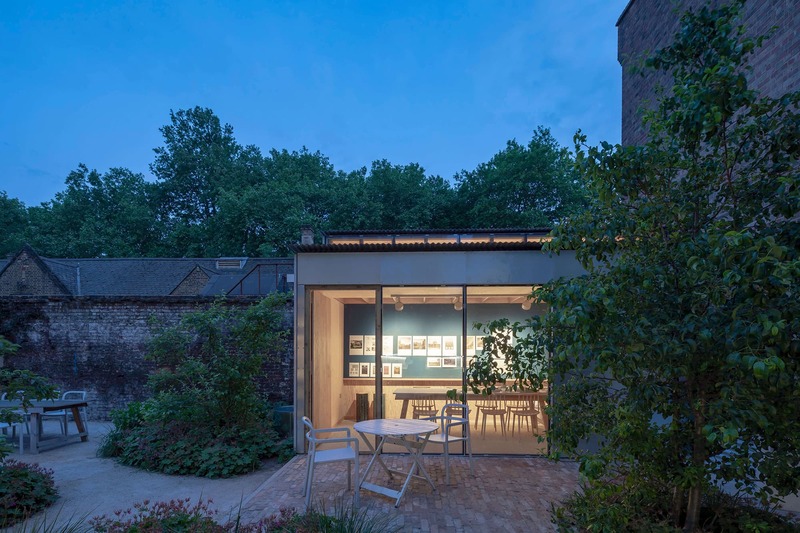 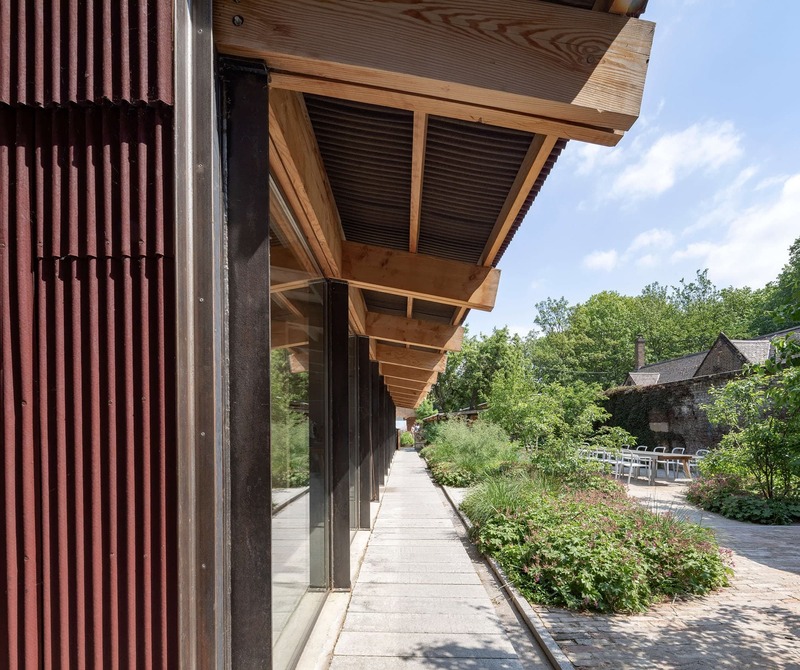 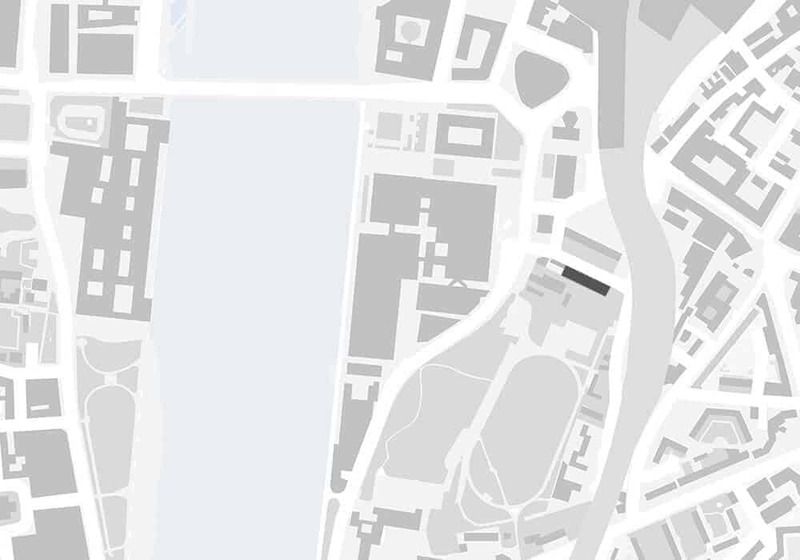 Feilden Fowles’ proposals have been divided into two phases. 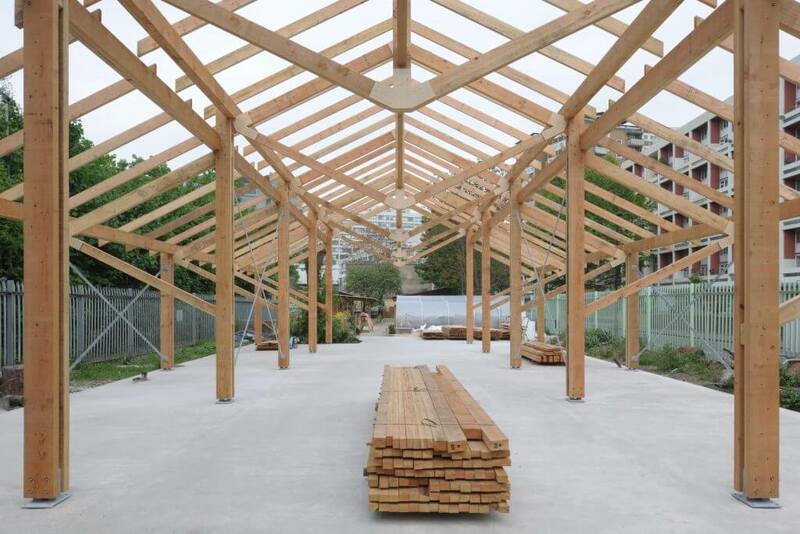 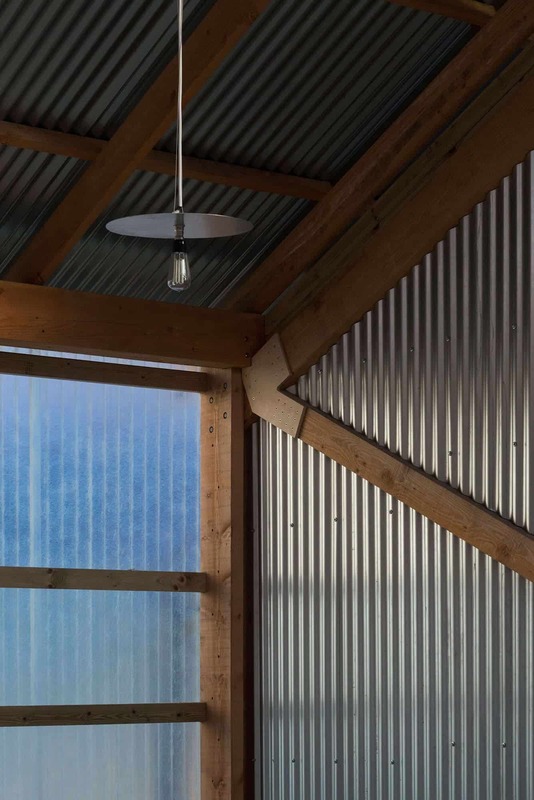 The first of these which opened in summer 2015 consists of a series of timber-framed animal pens housing pigs, sheep and chickens; a composting toilet, planting areas and two polytunnels. 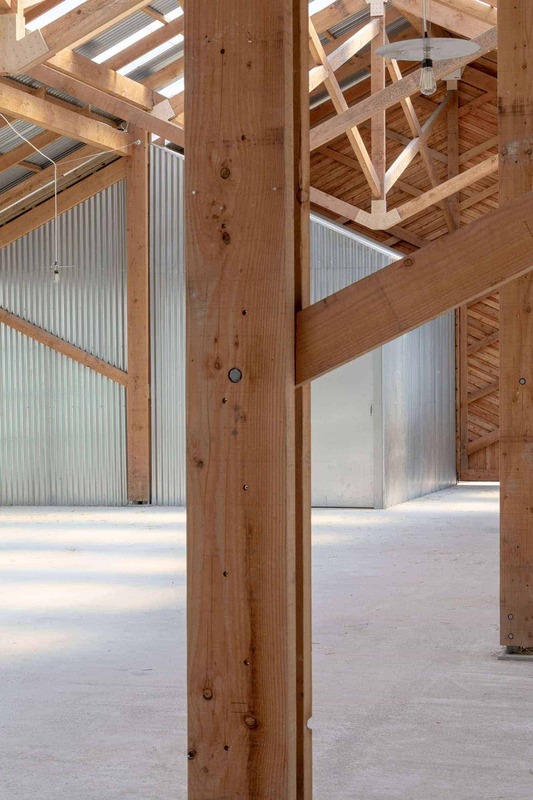 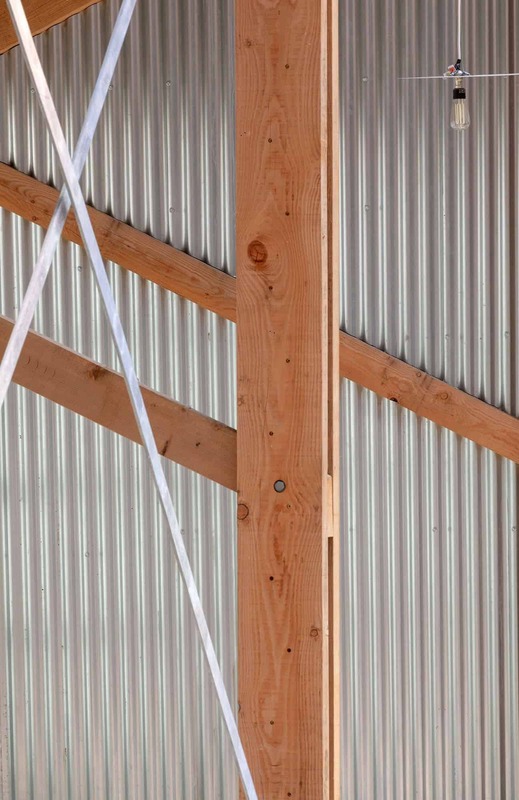 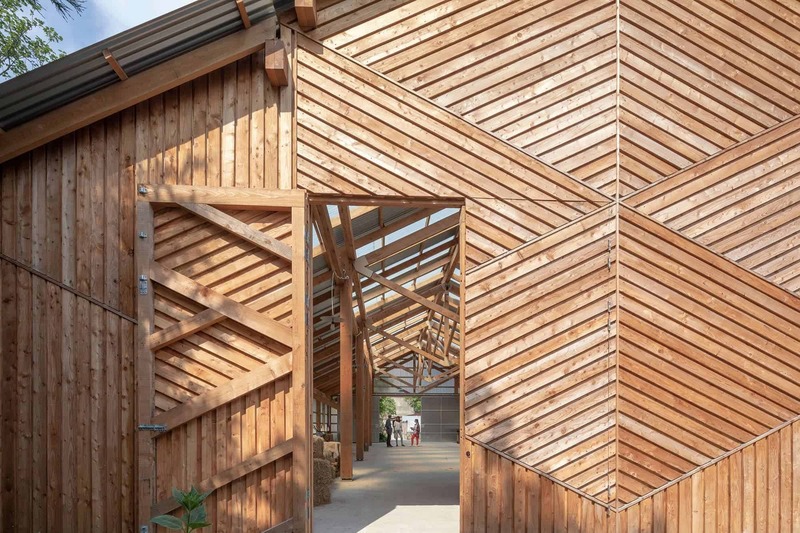 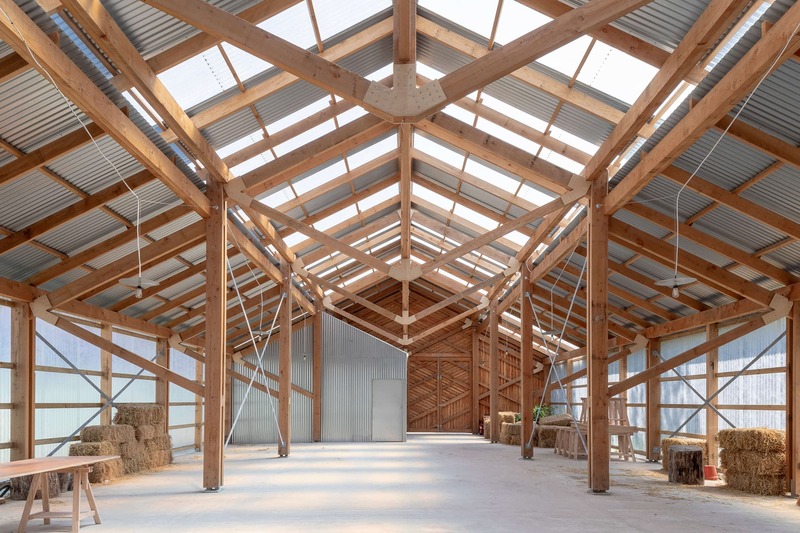 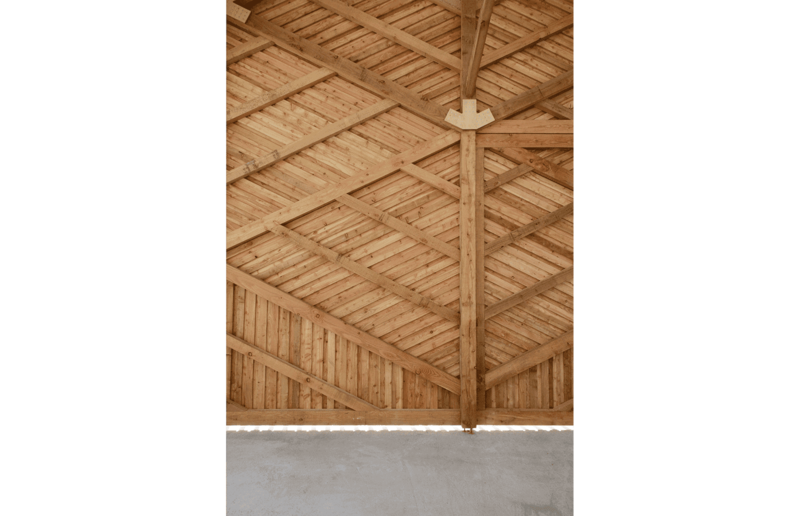 The second phase contains the farm’s main educational spaces under a large timber-framed barn roof. 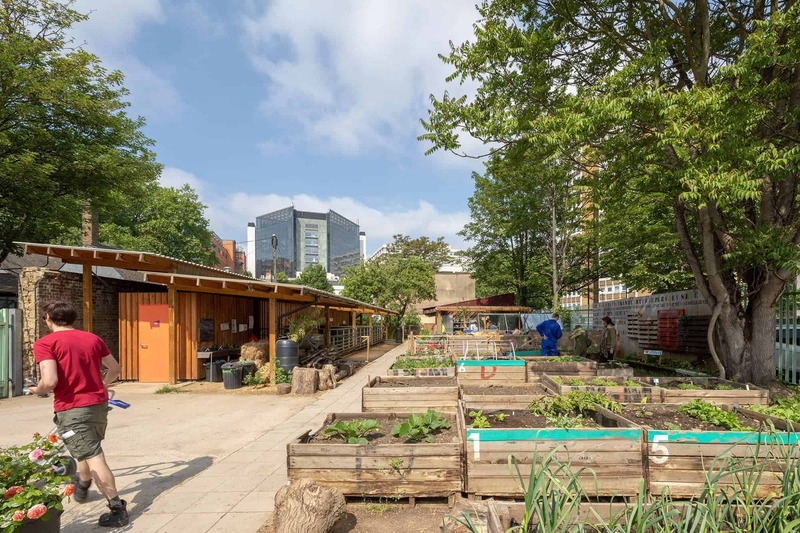 The outdoor kitchen area provides an additional learning facility as children can cook with the produce grown on site. 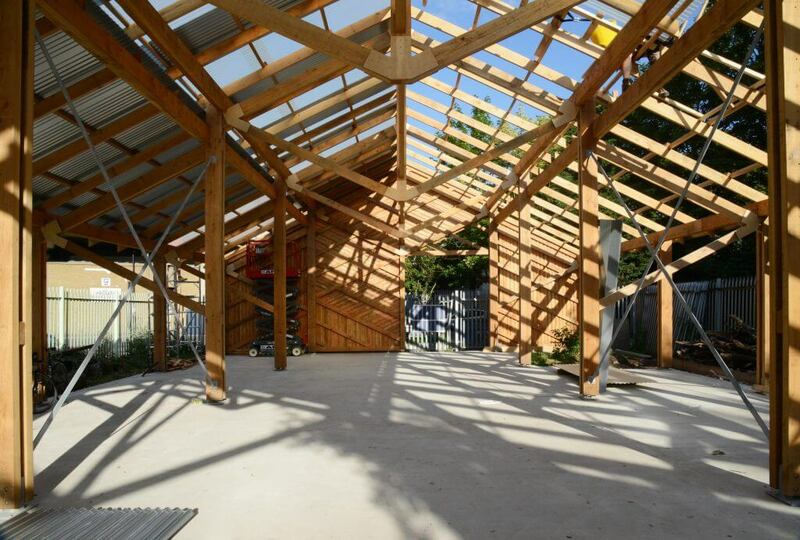 Sustainability is a key aspect of the project. 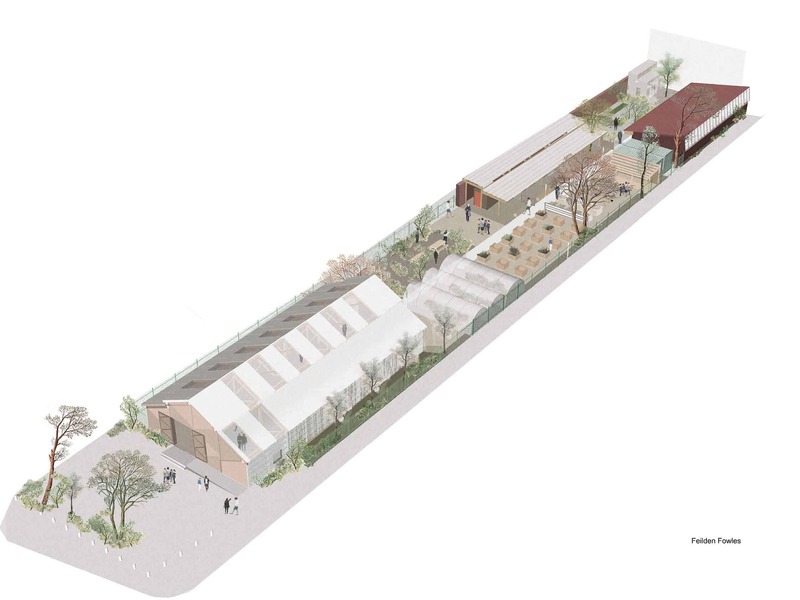 Rainwater is harvested across the site and used to water plans and clean out the animal pens. 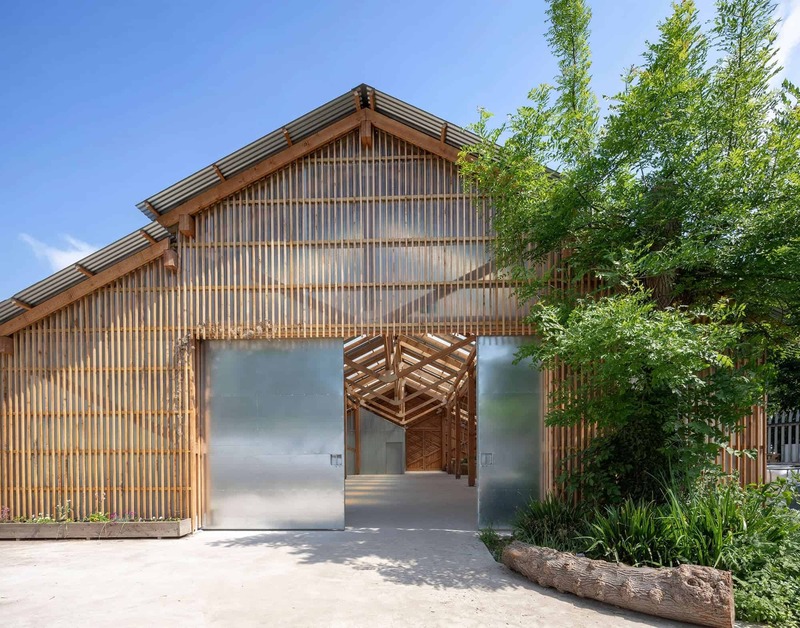 All other waste is either composted or recycled with each of these processes treated as a learning opportunity for visiting groups of children.